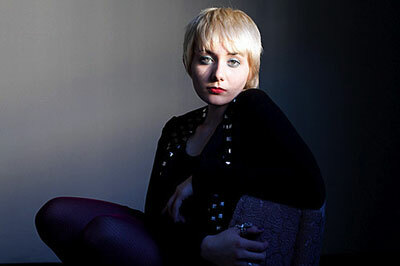 3 UP 3 DOWN May 11 Jessica Lea Mayfield w/ Nathaniel Rateliff Waiting Room Lounge, 6212 Maple St. $10, 9 p.m., onepercentproductions.com Jessica Lea Mayfield takes her indie-country style down moody, noir-ish paths. She’s a rare new Americana chanteuse, as she fits herself in a world between classic country and Tom Waits. There’s a blunt sharing in her songs, plainly put and completely unveiled. Like her first record, Mayfield’s latest Tell Me was produced by Black Keys’ mastermind Dan Auerbach. Auerbach discovered Mayfield after his father gave him one of Mayfield’s earliest recordings. The first time the duo met, they recorded eight songs in one day, Mayfield wrote The Reader in this email interview. How did the songs on your new album come about? What was the writing process for these songs? I write quite a bit. On Tell Me I was very excited by the chance to work with my brother David. He and I co-wrote a bit and I even covered a song that he and Josh Joplin wrote (“Blue Skies Again”). I really like the creative place he is in now, and feel lucky we were able to find the time to work together. What were the differences in working with Dan Auerbach on Tell Me and on With Blasphemy So Heartfelt? For With Blasphemy, it was pretty much just me and Danny goofing around, and we enlisted some friends here and there. For Tell Me, my guitarist Richie Kirkpatrick, my drummer Scott Hartlaub, and brother David Mayfield all went into the studio with Dan and created this record together. What are the biggest challenges for you when you’re on the road? Finding time for myself, whether it’s just a moment alone, or time to call my parents. I also really miss my dog Elliott and my cat Doyle, who my parents care for when I’m gone. I’ve been known to call my dog and have conversations with him.